Electronics have many toxic metals like arsenic, beryllium, cadmium, mercury or lead, which can be a threat to humans and the environment when not disposed of correctly. They are also made of useful and precious metals like gold, sliver, copper and palladium and with the use of large quantities of energy, all of which are lost when used electronics are just dumped. 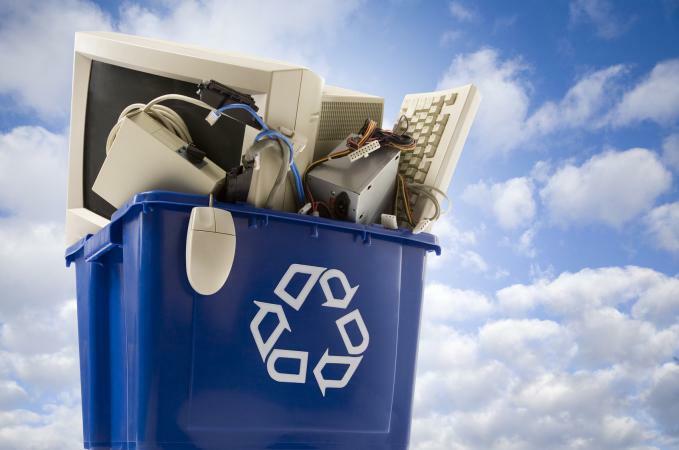 Instead, the Environmental Protection Agency (EPA) recommends reusing, donating, and recycling electronics. This strategy is not applicable to laptops which have few components that can be upgraded. Not everybody needs all the new features that the next generation of computers, cellphones, and other electronics have to offer. Many minor problems are easy to repair and fix at home following instructions at online sites like iFixit. This spares resources and energy necessary to make new units. Functioning electronics can be passed on to family or friends to prolong use in one's personal sphere. The first computer for a child could be a used laptop to explore, or older members can use them to stay in touch with distant relatives. Old electronics are also handy spare parts for future emergencies. Associated with no extra transportation, this method also has a small carbon footprint. Though there are no tax benefits here, the goodwill built is invaluable. Small and functional items such as smartphones, tablets, and laptops are taken by various buy back or trade in programs, both online and retail. You can also opt to sell these items yourself. Physical outlets - Physical outlets will check the product and its condition and quote a price. The items are sold on the spot for cash. Retailers like Walmart and Best Buy participate in programs like these. For example, Walmart stipulates that products should be functional, with no damage due to liquids (water, tea or soda, etc), or broken screens, as these may not be covered by contracts. A phone must be unlocked so it can be used with another provider and sim card. Many providers lock the cell phones, but it is now legal for consumers to unlock cell phones and use their gadgets as they please. Online buyers -Online buyers like Gazelle and YouRenew have different processes to assess the buy back price. When reselling online, for example at Gazelle, one needs to know the exact brand and answer a few questions to get a quotation. The item is shipped free to these online buyers. Personal sales - Direct sale to end users through eBay or Craiglist takes time and you may not find a buyer. You also may have to meet with people to exchange money and the electronic gadget. However, you might make more money than participating in a resale program and the cash is immediate. The items are exchanged and used as scholarships to local college and university graduates. Sometimes computers are fixed and resold at one-third or less of the price of a new computer to schools. Nonprofits working with the disadvantaged get free supplies. Tax receipts and earning a green label for one's business are other added attractions. Each program has a checklist of items they are looking for, with a contact number, email address or a link for getting more information. Electronics Take Back Coalition (ETBC) shares the names of manufacturers that have voluntary take back programs, which operate in states that have no laws on recycling. Many of the manufacturers work in cooperation with e-Stewards recyclers to retrieve valuable metals, plastic, and glass. Most of the manufacturers like Dell or Canon take back only their own products, while Apple accepts cell phones of all makes, and is interested also in trade-in of functional goods in exchange for an Apple gift-card. Acer uses Best Buy for collection, storage and transport and reimburses their cost. 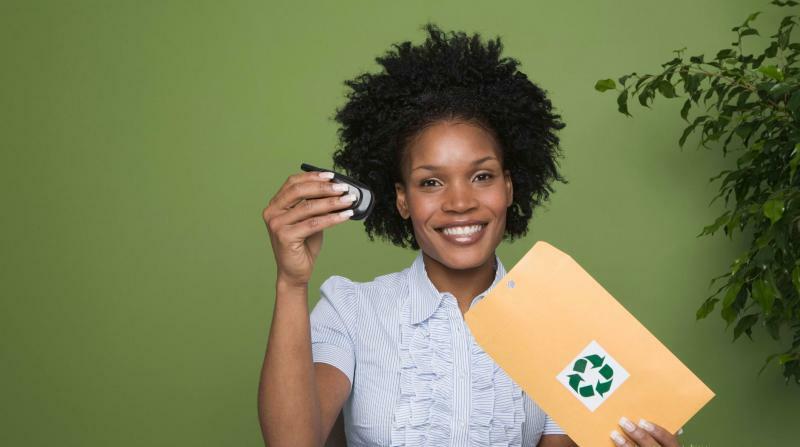 Mailback programs usually cost the consumer money, though recycling is free. HP offers free collection, mailback services, and recycling. Then there are firms like Brother, Funai or Hitachi that have no voluntary programs, and operate only in states that mandate electronic recycling. Manufacturer take back ensures the highest quality of recycling according to the RLG Americas (RLGA) story on the United Nations University Global E-Waste Monitor. Responsible Recycling ("R2") Standard for Electronics Recyclers is "the premier global environmental, worker health and safety standard for the electronics refurbishing and recycling industry." e-Stewards®Standard for Responsible Recycling and Reuse of Electronic Equipment is a global agency that stands for safe and responsible electronics refurbishing and recycling. They "ban the export of toxic waste to developing countries" and dumping "of toxic waste in solid waste disposal facilities." It is difficult to retrieve precious metals even at an industrial level. The process needs trained personnel who can operate complex and therefore expensive equipment as electronic items are getting smaller and more complicated in design. This is the reason the U.S. exported 50-80% of e-waste to developing regions in the Far East, India, Africa, and China till 2009 according to Greenpeace. 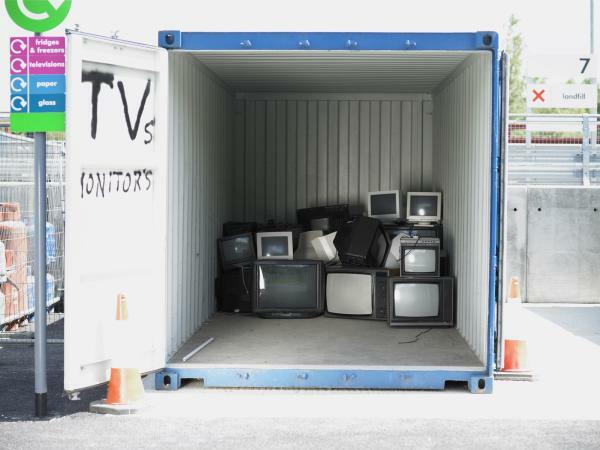 So, if the collection agencies are not certified by e-Stewards, the final destination of e-waste should be confirmed to ensure it does not end up in developing countries where people, including children, work unprotected in processing the toxic goods. There is no uniform national law on recycling, and only 25 states in the US have any such laws according to the National Center for Electronics Recycling (NCER). Information on state recycling laws is available by using a map they provide. Before donating or recycling IT gadgets, personal data should be erased to safeguard against malpractices. NCER recommends using Tech Soup's website to compare and find the right software for different computers or laptops. Batteries should be removed from smaller gadgets like cell phones as they have to be disposed of separately. Electronics are not disposed of in a proper manner, and people end up hoarding computers and TV screens at home as they do not know where to bring them. Smaller items like pen-drives, discs and alarm clocks are thrown away as part of mixed residual waste, which end up in landfills or are incinerated, leading to the release of toxic metals into soil or air. People are more aware of the dangers of e-waste now, and attitudes towards disposal are changing. Meanwhile the number of small businesses seizing the opportunities offered by e-waste is increasing. Consumer action and demand can bolster their services to develop a more sustainable use of electronics.